Has anyone else been waiting on this book for FOREVER?? I loved her *Anna* series, it was SO good. 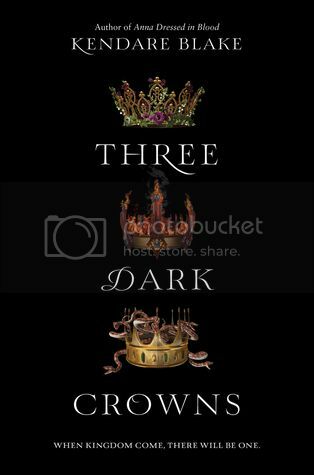 I am really looking forward to reading Three Dark Crowns soon! Nice! Just read this one last week, it was a bit of a struggle for me because I love her other books and had heard some great early things about this one. Hopefully I'm just the oddball out and you'll love it too! I haven't read he Anna series! I want to. This sounds excellent too!